Copyright law almost the world over states that you own your own literary work from the moment of recording it. For bloggers this means the moment you save or publish your work. Unfortunately plagiarism is rife - the better the quality of your work the more likely it is that it will be ripped off and someone else will take the credit and even worse, may accuse you of stealing their work. Save your blog to a local file. 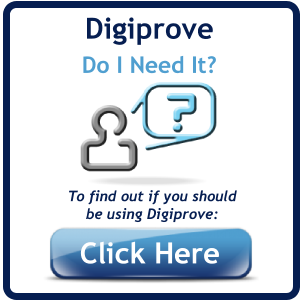 Log into Digiprove, and simply select this file. We will immediately email you a Digiprove content certificate which proves and timestamps your possession of the text. Add the text "This blog has been Digiproved" to your copyright notice. If you are a WordPress user it's even easier - you can install the "Copyright Proof" plug-in which automatically Digiproves all your published work. Whether you blog professionally, to promote your business, or as a platform for your ideas and opinions, blogging is about content. If you value the content you create, you should protect its copyright. 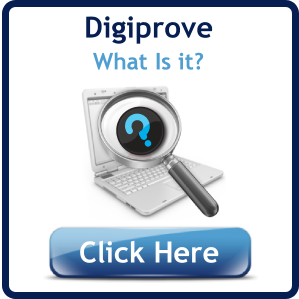 By Digiproving, you are creating a trail of evidence that protects your blog. Regularly Digiproving your blog content allows you to freely promote it to fellow bloggers, potential clients and other web users without fear of content thieves or sploggers.